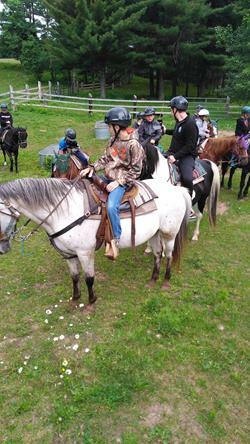 At Spider Lake Ranch, our goal is to provide our guests with a safe and fun riding experience. We strive to educate our guests about horses, and hope you leave here with fond memories and a little more understanding of the equine than when you arrived. After all, the more we know about horses, the more love and compassion we have for one of the noblest creatures on earth! 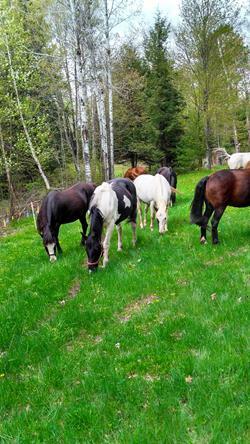 Spider Lake Ranch Riding Stable is a family owned and operated horseback riding stable located 14 miles east of Hayward Wisconsin, in the beautiful Spider Lake area. 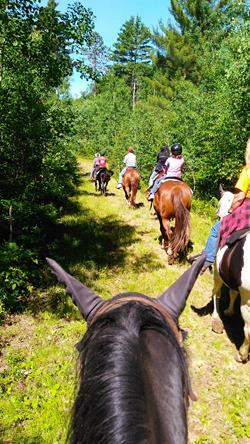 With trails that meander through the forest, you can experience the northwoods in a new, peaceful & relaxing way. 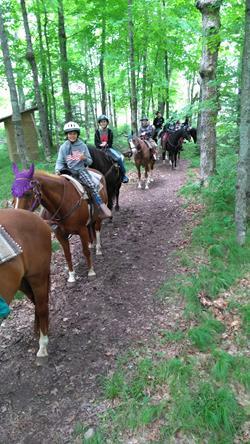 From riding instruction to experienced guides along the trail, we're here to help you have a safe and comfortable ride. There's so much to see and do in Hayward. Musky Festival, Lumberjack World Championships, Fishing has no Boundaries, Honor the Earth Pow Wow, Chequamegon Fat Tire Fest, Stone Lake Cranberry Fest, Hayward Fall Fest and there's much more! Contact our local Chamber of Commerce at 715-634-8662 for more information. © Spider Lake Ranch & CCS, Inc. All Rights Reserved.